Worldwide chronic arsenic (As) toxicity has become a human health threat. Arsenic exposure to humans mainly occurs from the ingestion of As contaminated water and food. 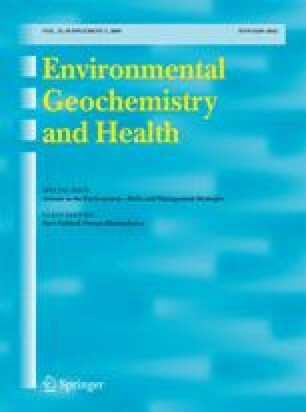 This communication presents a review of current research conducted on the adverse health effects on humans exposed to As-contaminated water. Chronic exposure of As via drinking water causes various types of skin lesions such as melanosis, leucomelanosis, and keratosis. Other manifestations include neurological effects, obstetric problems, high blood pressure, diabetes mellitus, diseases of the respiratory system and of blood vessels including cardiovascular, and cancers typically involving the skin, lung, and bladder. The skin seems to be quite susceptible to the effects of As. Arsenic-induced skin lesions seem to be the most common and initial symptoms of arsenicosis. More systematic studies are needed to determine the link between As exposure and its related cancer and noncancer end points.